Home/As We See It, Latest News & Events/Have Theresa May and Jeremy Corbyn broken the UK’s political establishment? It seems that tweet was surprisingly insightful. The bad news is, as I will explain, the ramifications for their parties could be disastrous.But, first, tomorrow the Prime Ministers Withdrawal Agreement is widely expected to be voted down by between 80 and 100 plus votes according to informed sources in Westminster. On Wednesday the vote to take a “no deal” off the table is expected to pass. This leaves Thursday’s vote on extending Article 50 – but for how long and why? Writing in the Sunday Telegraph, leading Brexiteers Steve Baker and Nigel Dodds warned that the British public may lose faith in the political establishment due to the chaos surrounding Brexit. Specifically, that: “The harm done to public trust in politics and democracy itself would be incalculable. For some, democracy would be effectively dead”. Actually, gentlemen, I fear that the consequences of the chaos surrounding Brexit has happened, especially regarding how the “harm done to public trust in politics and democracy itself would be incalculable”. This may come as a surprise to some, perhaps many, but the harm done IScalculable. During the 2016 EU referendum I gained valuable skills and experience in polling which I have continued developing to date.Last week I ran two polls and the results left me stunned – I suspect you will be to.  I commissioned BMG Research to do the polling, and the field work was conducted between 4-8 March, with a sample of 1,510 adults, 18+, in Great Britain. The first proposition was “[Do] British MPs put the EU’s interests before the interests of Britain”? The “headline” figures were – Agree 39 per cent, not sure 35 per cent and disagree 25 per cent. First, given that British MPs take an oath of allegiance to H.M. the Queen, over a third – 35 per cent of British voters – are not entirely sure where their MPs loyalty lies. Second, just 25 per cent of British voters, just one-in-4, think British MPs first loyalty is to Britain? As I will explain shortly, this statistic is more profound, more depressing, than at first glance. Third, 39 per cent, almost 2 in 5, think British MPs first loyalty is with the EU. These figures go to the very heart of the crisis in British politics. If we remove those that are not sure, then 61 per cent of British voters agree that British MPs put the EU’s interests above the interests of Britain. In 2017, the size of the electoral register was put at 46.8 million voters. This means that proportionately, based on the sample, there are just 11.7 million voters out of 46.8 million that think British MPs first loyalty is to Britain. Of the remainder, 18.2 million think MPs first loyalty is to the EU with the remaining 16.9 million not quite sure where their MP’s loyalty lies. Beyond the “headline” figures, the polling data is painfully consistent. Not all of the data has been reproduced here, but the data does show only two socio-economic groups disagree with the proposition that MPs first loyalty is to the EU. Remainers often portray leavers as “too stupid to vote”.There is clearly some explanation behind this view. Of those with a university degree, 32 per cent agree while slightly more – 34 per cent disagree. Remove those that are not sure and this gives a ratio of 52 per cent disagree. Black and Minority Ethnics (BME) also disagree. Here agree 29 per cent with 33 per cent disagree. Remove those that are not sure, this gives a ratio of 53 per cent disagree. Now, we need to ask the question: “who really thinks British MPs first loyalty lies with Britain”? And what are the implications for Theresa May, Jeremy Corbyn and the Political Establishment? Could the main parties fracture? If we look at the polling data with respect to the current (I will repeat this because it is really important), the current voting intentions for British voters, we get some uncomfortable findings. For British voters currently intending to vote Conservative, 49 per cent agree with the proposition, 24 per cent disagree. If we remove those not sure the ratio is 67 per cent of Conservatives agree that British MPs’ first loyalty is to the EU. For Labour, 32 per cent agree, 33 per cent disagree. If we remove those not sure the ratio is 51 per cent disagree. The figures for the Lib/Dems is 28 per cent agree, 45 per cent disagree, removing those not sure gives a ratio of 62 per cent disagree. For UKIP, removing not sure voters gives a ratio of 92 per cent agree. These figures highlight how deep rooted the structural cracks are within the three main parties. Indeed, it is ironic that the Lib/Dems, a pro-EU party, think British MPS first loyalty is to the UK. To dig deeper about the reaction of voters I then asked a second question. The second proposition was: “Would you consider voting for the Brexit party”? Of British voters intending to vote conservative at the next General Election 37 per cent said they would consider voting for the Brexit party, 30 per cent said they were unlikely to consider this and just 33 per cent said they would not consider this proposition. The Labour party is in a better position, with just 24 per cent of voters intending to give Labour willing to consider voting for the Brexit party and 48 per cent not considering the proposition. Those intending to vote for the Lib/Dems are the most loyal, with just 14 per cent considering the Brexit party and 60 per cent not considering the possibility. UKIP is in trouble; with 71 per cent considering switching their vote to the Brexit party and just 12 per cent ruling out the possibility at the next General Election. Cross reference the Brexit party polling data with voters views on the loyalties of British MPs and you begin to understand the damage already done to the political establishment. As for the longer term consequences for the political establishment, it seems to me that their fate could soon be resting in the hands of Nigel Farage (pictured) and his new Brexit party.